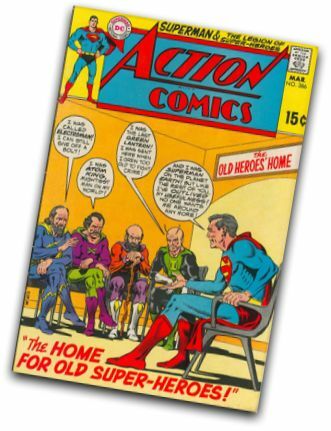 Created in 2006, Cover Browser displays galleries of comic book (and book, pulp, games, DVD or magazine) covers for comic book fans like myself to explore & enjoy (there's also links to buy comics). At the moment, there are 455,283 searchable covers from 2,919 different series available. Most of the covers and associated data have been assembled using the nice Yahoo Image API, eBay, the Google Web Search API, the Amazon API, the Yahoo Term Extraction API, different homemade crawlers, and manual sorting. I'm also working with collections you send in or homemade scans. You can read more on the technical background. Also see the Cover Browser Labs. As of 2010, Cover Browser has a sister site called Vintage Ad Browser. For feedback, please contact me at philipp.lenssen@gmail.com. New covers may be added constantly – your cover suggestions are welcome too. If you have a ZIP file of a full series (with large pics numerated like 1.jpg, 2.jpg) I might be able to add it directly. Thanks to Alek Komarnitsky and Tony Ruscoe for early testing of this site. Hat tip to the LP Cover Lover blog. Many thanks to Adam of ComicCovers.com for sending in a lot of covers! Another very special thanks to Brad Fraser for sending along a lot of scans from his former collection! Thanks to Dan Clark, Peter Simonis, Shane Summers and Rick Helley for sending covers. Many thanks to Uwe Wieczorek for sending large versions covers! Thanks to Peter Coogan and the researchers at Uclue. Please note that the covers are presented here "as-is" – some are cool, and some are only of interest as historical artefacts; e.g. some pulp covers contain ridiculous racist stereotypes. Cover Browser has been featured in Marvel's Thor 600. Some icons used on this site are from FamFamFam's Creative Commons licensed icon set. Some of the artists you'll find here: John Byrne, Barry Windsor-Smith, Frank Miller, Ivan Brunetti, Alex Ross, Alex Toth, Joe Kubert, Mark Bagley, Steve Ditko, Jim Lee, and many, many more... The latest series added here are Don Winslow of the Navy, Dennis the Menace Giant, Best of DC, Coleccion Vertigo (Spain), Factor-X (Spanish), Buzzy, Daffy Duck, A Date with Judy, Fawcett's Funny Animals, Crazy Magazine, Flintstones (Dutch), Fantastic (UK), First Love Illustrated, Domingos Alegres, Hulk (French), Batman Serie Aguila, Illustrerade Klassiker, Comics on Parade, Kalle Anka & Co (1948) and Aventures. The covers belong to their respective copyright-holders and are reproduced here within a fair use context. All other content has a Creative Commons license. Amazon.com | Philsp.com | Comicbase.com | Top100.cn | Mondourania.com | Comics.org | J-popcdart.com | Comiccovers.com | Magazine-agent.com | Thenewyorkerstore.com | Backissues.com | Freecovers.net | Gruselromane.de | Albums.photo.epson.com | Darkhorse.com | Magazineart.org | Comicbookdb.com | Lemon64.com | Cherrylandpostcards.com | Sjklein.com | ... and 497 other sources.